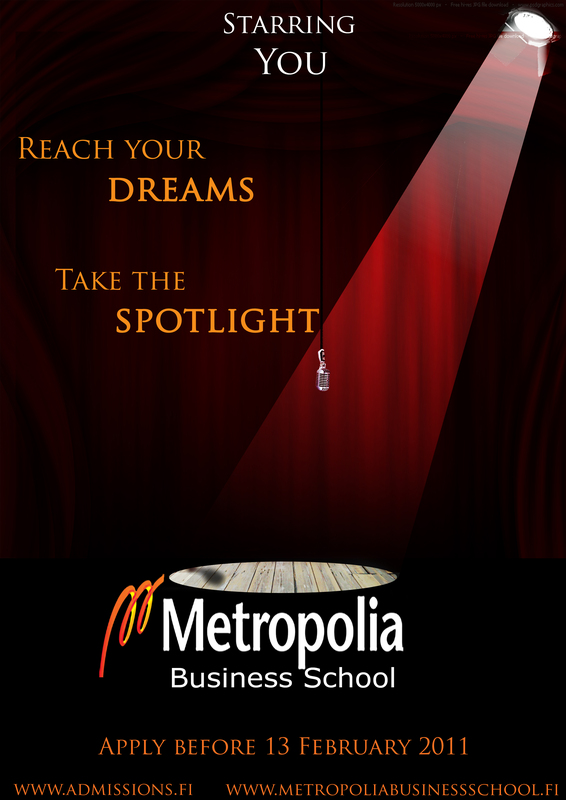 As part of my recently carried out Sales & Advertising course, I gave students the task of creating an advertising brief and advert for Metropolia Business School student recruitment. 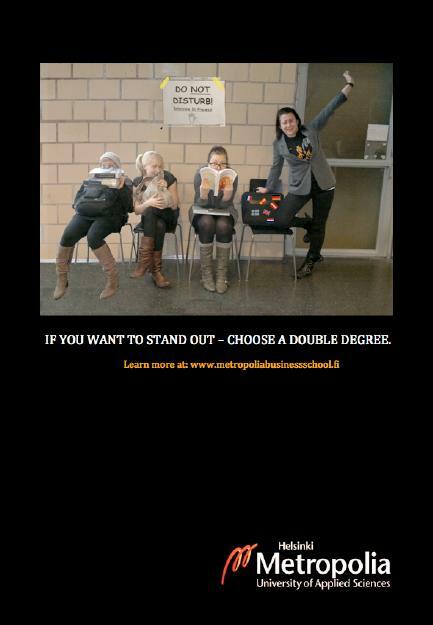 Below you can see the adverts the students made. 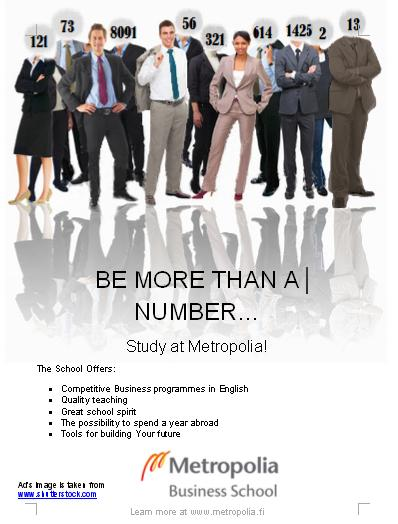 Some of the adverts are just mock ups that can be adapted and made more professional at a later stage. I am not placing the advertising briefs in this post which explain the concepts and strategy behind the adverts. The adverts themeselves should be self explantory and you should be able to understand the idea instantly if they are to be of value. 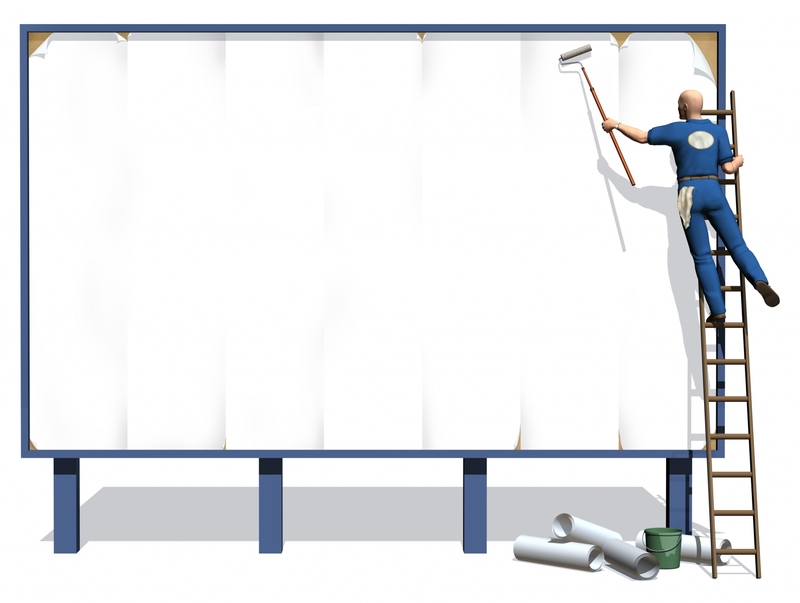 While we did cover ways to evaluate advertising in the course I am going to leave it open to you to decide how you would evaluate the adverts and choose the best one. 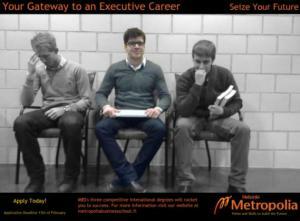 We can develop the best advert as part of Metropolia Business School’s student recruitment campaign. You can click on the adverts to view them in a larger size. 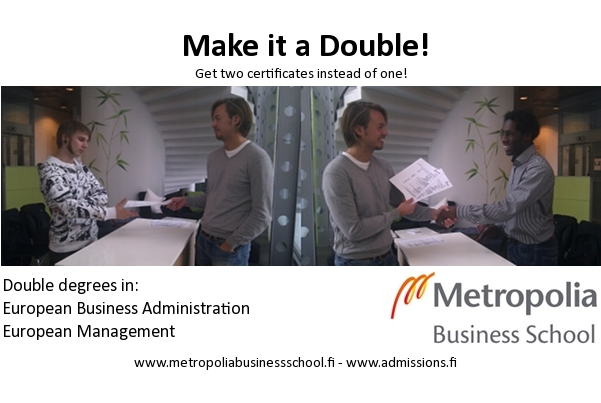 Previous Post Winner of the competition “Guess the Metropolia team members”?